SuperPark, the friendliest all-in-one indoor activity park in the world from Finland, is about to bring a new wave of energy into Singapore’s lifestyle scene. SuperPark Singapore will officially launch in Singapore on 17 November 2018! Boasting almost 40,000 square foot at Suntec City, SuperPark Singapore will bring joyful play to Singaporeans from all walks of life, offering over 20 fun, healthy, exciting and energizing activities under one roof. Expect bubbling laughter, beaming smiles and red cheeks from kids, teenagers and adults alike. – The Adventure Area offers exciting play activities for younger children and parents, including Flying Fox (zip wires), Tube Slide (slides), Kid’s Gym (Toddlers area), Kid’s Adventure City (playtowers), Pedal Car Track and much, much more. – In the Game Arena, youngsters can swing for the stands in the Baseball nets, hone their jump shot at Street Basketball, or compete with the AI goal keeper. Performance is measured by radar and other digital systems, so kids can challenge their friends (or parents!). – In the Freestyle Hall, teenagers can put down the smartphone and challenge themselves with SuperClimb (tailormade fun climbing concept), new Ninja Track (warrior obstacle course) and iWall (interactive parkour game), venture into Skate and Scoot World, bounce on the Trampoline Platform, attack the Augmented Climbing Wall. At SuperPark Singapore, children and youngsters at heart will be thrilled by a wealth of new sports and activities, with all equipmentrental such as scooter, helmet etc included in the ticket price. All activities will take place under the guidance of experienced staff, many of which are recognized coaches, and are safely away from rain, pollution, high UV or bugs and mosquitos all year round. 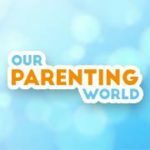 Our Parenting World – OPW Media team is pleased to interview Mr. Mark Kumarasinhe, Asia CEO of SuperPark to find out more. About Mr. Mark Kumarasinhe, he was born in 1974 at Sydney, Australia. He grew up in Sydney Australia but lived in Europe, the US and is now a HK resident. He was educated in Australia, the US and HK, earning a law degree and an MBA from the Kellogg School of Management in the US and HK. He worked as a Investment banker for almost 20 years, a major partner of a successful real estate development group and investor (operator) of a number of entrepreneurial businesses. Mark has been a director of several public vehicles including those for Macquarie Bank, CBRE, BNP Paribas and Ascendas. He played professional tennis during late teen years and continues to feature in various ITF “Seniors” events as well as the Hong Kong tennis league. Mark also participates in other activities including running, baseball and golf and is passionate about active participation in Sports. Over Mark’s career he has built skills in the areas of development and management of large teams; financial management; growing small businesses into large and scalable enterprises; real estate development and acquisition. 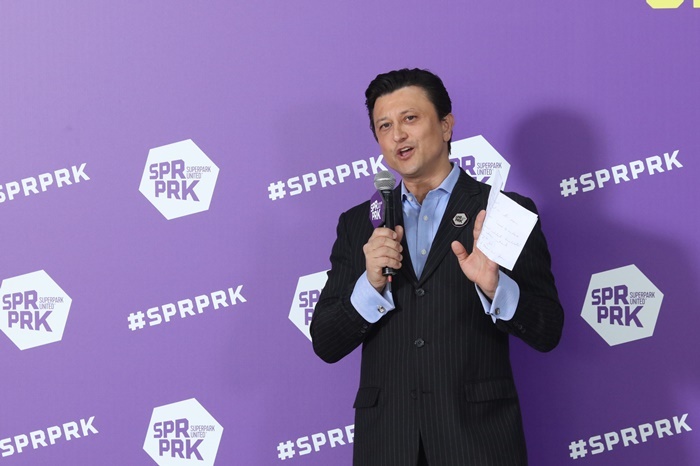 Currently the CEO of SuperPark ASIA and he has been responsible from the concept state in Asia and is now focused on the delivery of SuperPark’s expansion in the Asia Pacific region. 1. Please share with us about your background and your vision for SuperPark? The inspiration for SuperPark came when Mr Taneli Sutinen, Global CEO for SuperPark, was playing with his four-year-old daughter. While at the playground, he found it difficult to play side by side with his daughter as the playground was only for kids with child-sized playground equipment. Taneli then had the idea of creating an activity park where children and adults could play together. SuperPark was then opened in 2012 in Vuokatti, Finland and has expanded to Sweden, France, Hong Kong, China and now Singapore. SuperPark’s dream is to build thousands of activity parks across different continents. We plan to grow to100 sites by 2020. 2. What inspired you and your team to set up SuperPark in Singapore? We feel that Singapore is a great market to be in, especially for SuperPark’s entry into the Southeast Asian market after our successful launch in Hong Kong last year. 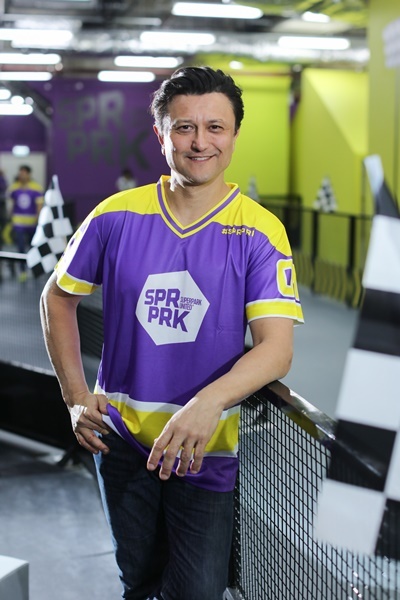 We understand that Singaporeans are always on the look out for fun and exciting activities to do with friends, kids or the whole family which is exactly what SuperPark stands for. 3. How does SuperPark differ from other indoor activity parks? SuperPark’s facilities are designed so that everyone of all ages and fitness levels can come together to have fun with 25 activities under one roof. We bring in a lot of our Finnish culture and values into SuperPark as well. As such, children are encouraged to explore, to learn and to develop as a team when they play at SuperPark. We enhance your play experience by integrating digital and technology features – example, instead of traditional trampoline, we put mini games on the screen that player is required to complete the challenge, allowing you do exercise and have something fun at the same time. There are also no motorized, theme park-style rides: the human body is the engine for all SuperPark activities. You are made to move so we want everyone of all ages to come together and have fun at SuperPark! 4. On a personal note, what are some of your favourite activities at SuperPark? My favourite activity at SuperPark would most definitely be baseball! Baseball is part of ‘Game Arena’, one of the three themed areas at SuperPark. You can give this activity a try when SuperPark Singapore debuts on 17 November and practice swinging your bat. If you want a little more challenge, radar, digitalization and cannon can also be added for that extra competitiveness. 5. Lastly, any interesting things about SuperPark Singapore that you would like to share with our readers? What can visitors look out for when they visit SuperPark? – The Game Arena, youngsters can swing for the stands in the Baseball nets, hone their jump shot at Street Basketball, or compete with the AI goal keeper (RoboKeeper). Performance is measured by radar and other digital systems, so kids can challenge their friends (or parents!). – The Freestyle Hall, teenagers can put down the smartphone and challenge themselves with SuperClimb (tailormade fun climbing concept), new Ninja Track (warrior obstacle course) and iWall (interactive parkour game), venture into Skate and Scoot World, bounce on the Trampoline Platform, attack the Augmented Climbing Wall. SuperPark Singapore will be an exciting time for everyone and we can’t wait! Thank you Mr. Mark Kumarasinhe for taking our interview! We are all super excited with the opening of the new 40,000 sq ft indoor activity park in 17 November, featuring more than 20 activities in three themed zones for Singaporeans of all ages. Come and visit SuperPark at Suntec City and have a fun-filled time! Pingback: SuperPark Singapore – All-in-one Indoor Activity Park and Giveaway!